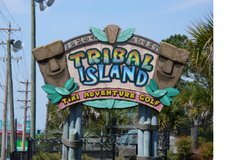 If you're going to Myrtle Beach you must go here. Hey I am going to Myrtle Beach in 2 weeks! I will go for sure. Hey, *I* was there, too! Imagine that.